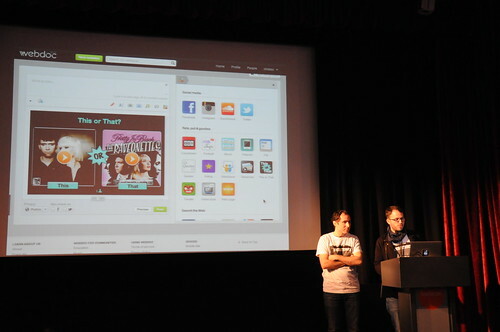 I first learned about Webdoc in June in New York, when they were exhibiting at the #140 Conference. I got a personal demo from the founder and CEO of this Swiss company, and was totally impressed with the site, which allows users to create and easily share their own website, using photos, documents, video, links, music -- all aspects of multimedia. 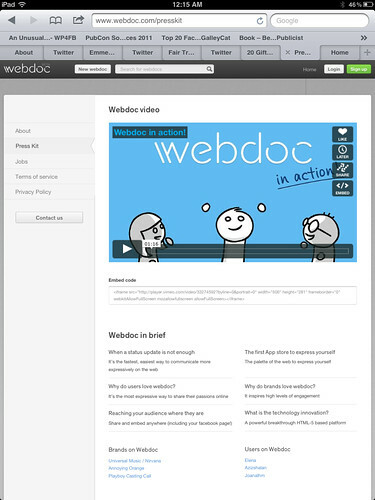 Webdoc lets you create, share and discover rich interactive posts and engage spontaneously with friends or audience around your interests, passions, events and promotion - when a status update just isn’t enough to tell your story and you don’t want to start a blog. My Take: Webdoc is a user friendly and fun interface that basically like an About Me page on steroids. I'm planning on setting up mine as an online portfolio in the new year, and will show it off then. What I really like about it is that users can create super simple as well as more complex pages, with equal impact.